KaniganTheMando, k4far, Antraxo and 2 others like this. k4far, Antraxo, Bossk and 4 others like this. 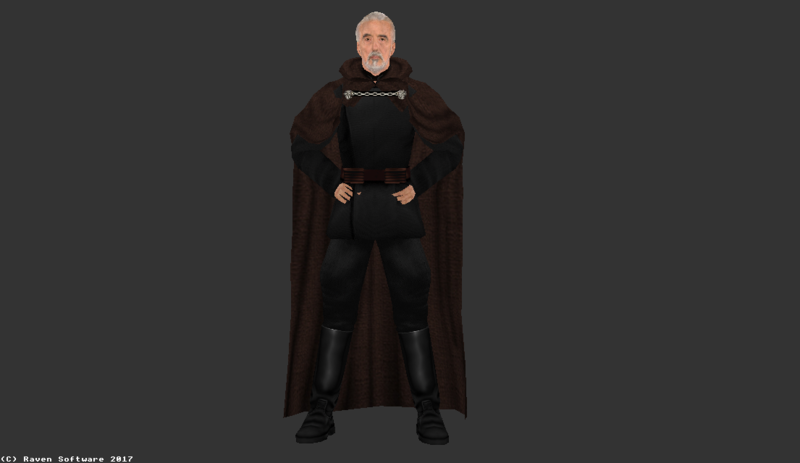 TFU Dooku replacement. 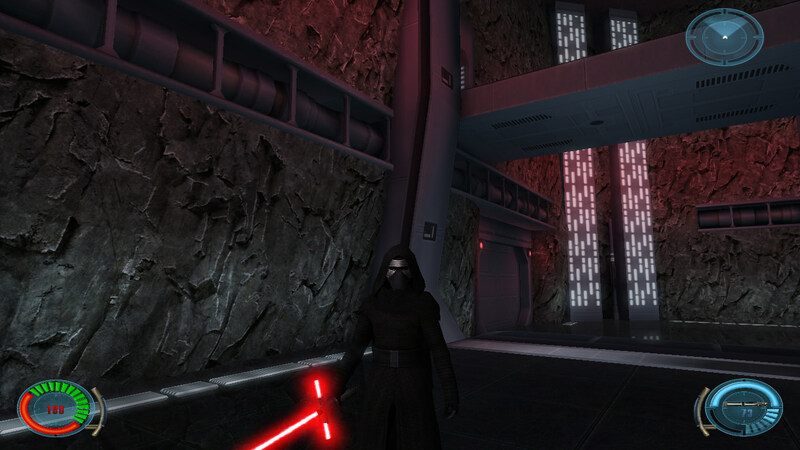 Head is ported from game The Force Unleashed, body is original by Hapslash and robe is taken from Luke Toshi´s skin. Malachor, k4far, Antraxo and 5 others like this. Antraxo, swagmaster, Bossk and 1 other person like this. 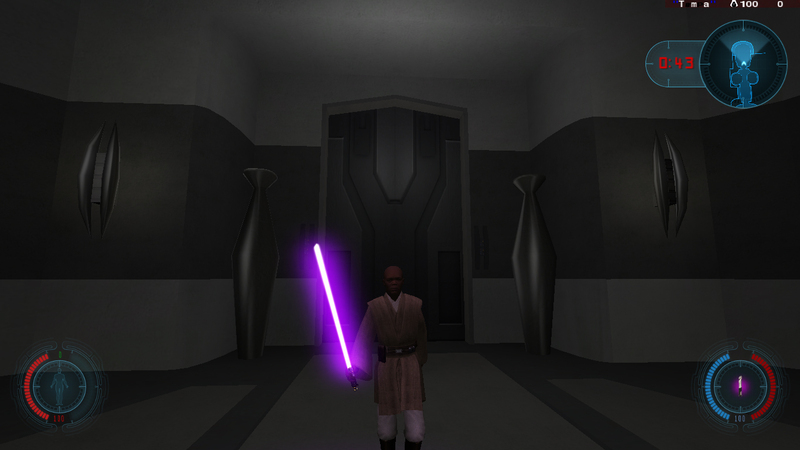 This is Mace Windu replacement. 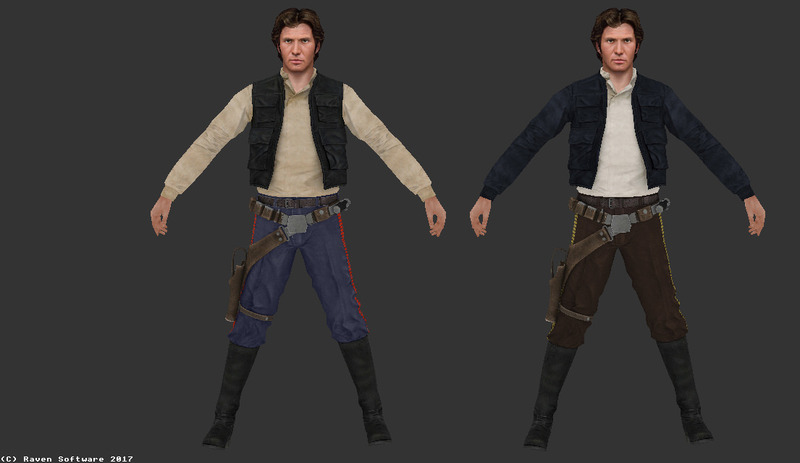 It is Kualan´s Windu model with reskinned textures. 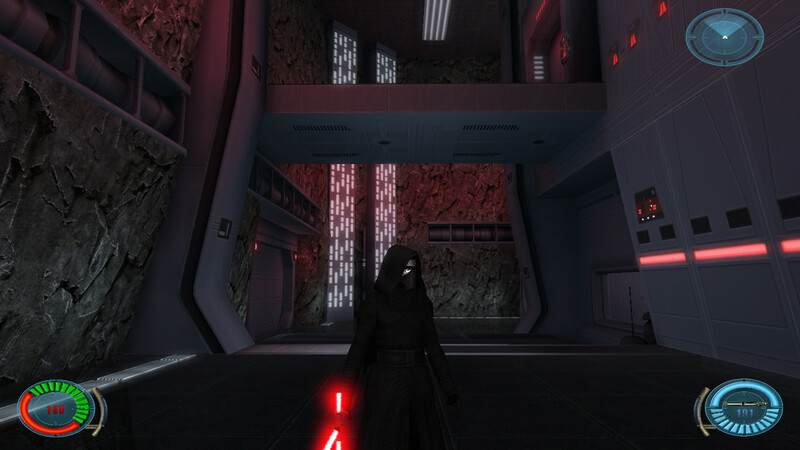 Darth_Stiv, Antraxo, Penekowski and 1 other person like this. 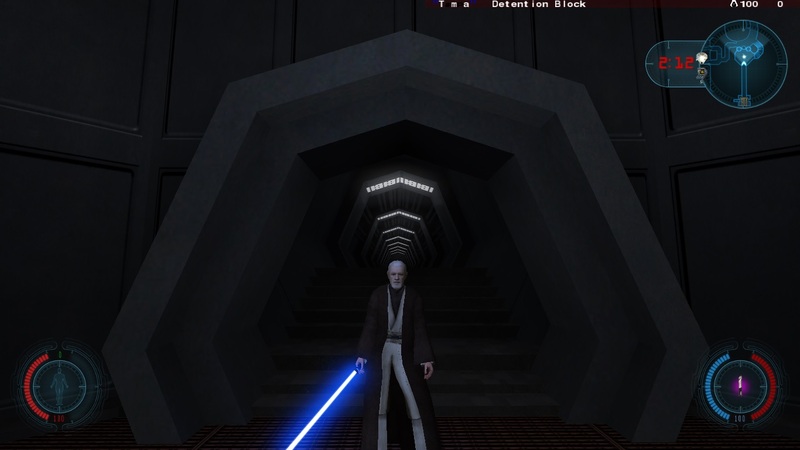 You can really notice how the diffuses on Dooku and Obiwan were designed for a newer engine that can handle shadows through normal maps and a generally stronger shading engine. I'd love to see how the models would look after being given some love and attention by a good texture artist who knows the lackings of the engine and compensate for them in the diffuse. What I normally do is take the normal map (texture ending in _n) then select only the Green channel and paste this over the diffuse texture. I apply the Soft Light filter and then turn it down to about 40%. Then repeat the same with the Blue channel, but filter it to Multiply and put it at around 15-20%. This usually creates a better blend in one texture. 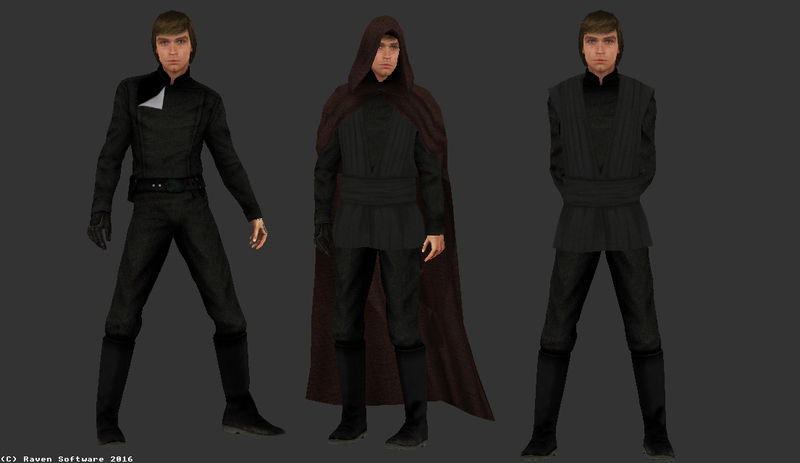 The Luke model download is taken down? Search jkhub.org. Icons can be take from here. Just cut it. I already did it. 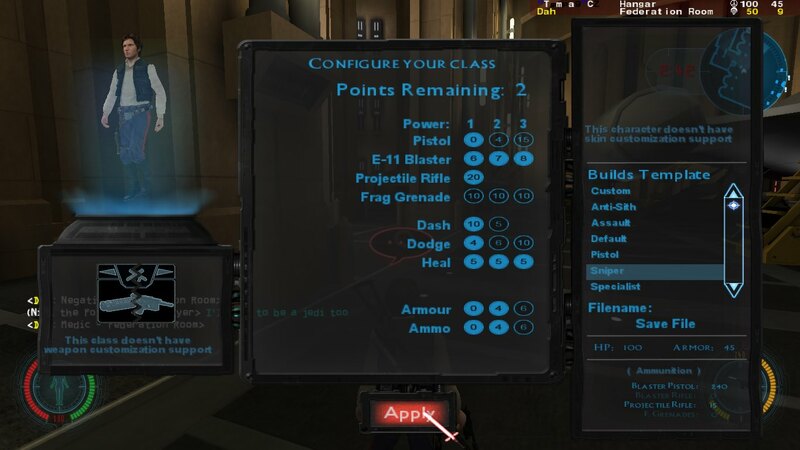 Ok guys, I´m back with little addons for MB2 or Peneke pack. 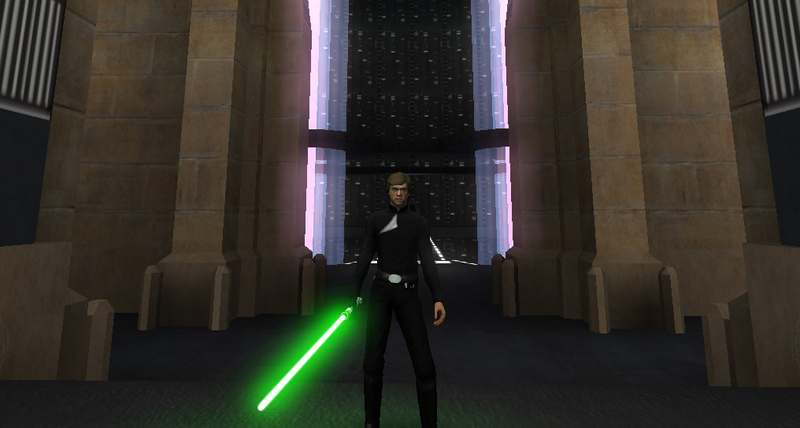 Unfortunately all previous addons like Dooku, Windu and Luke are lost but I´m going to make new again in the future. 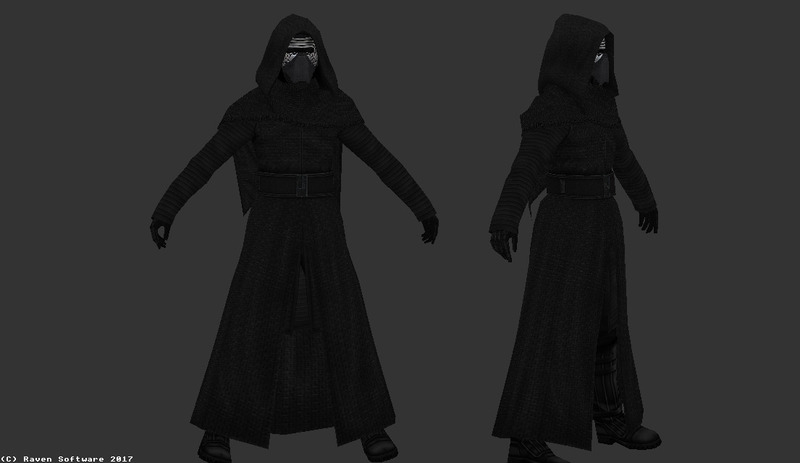 Today I would like to present you my latest kitbash - hooded Kylo Ren skin with more accurate movie hood! It is for basic MB2 version only. Download is on the first page of the thread. I hope you´ll like it! Caffé, Bare Jon, SilentKilla24 and 1 other person like this. Richard Nixon, k4far, Caffé and 1 other person like this. 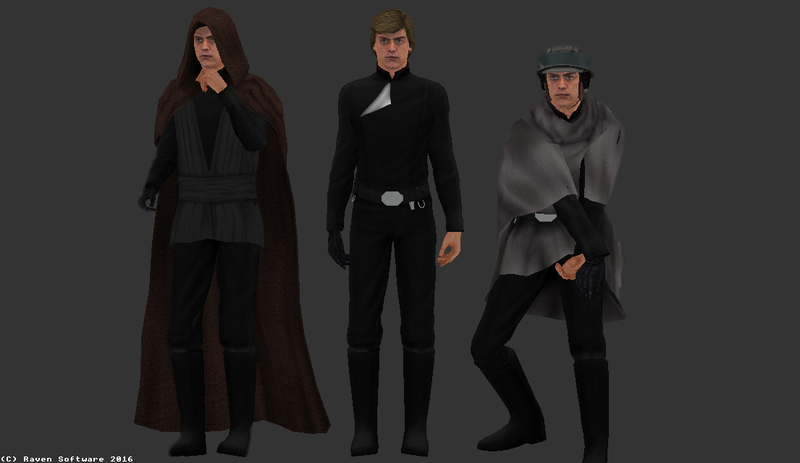 Are these models still available for download and would they work for MBII? I mainly want to one on the far right. Only those in Peneke addon. 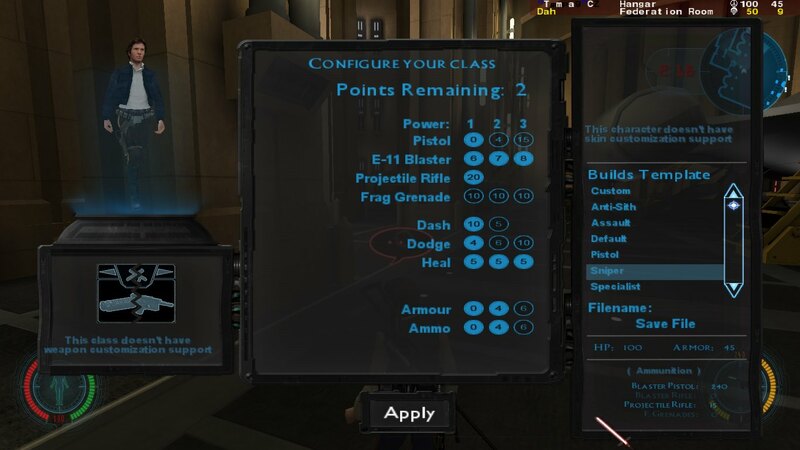 But I can make standalone replacement for basic MB aswell. 爪丹匕サ工モち, Puskie, Haddon70 and 4 others like this.